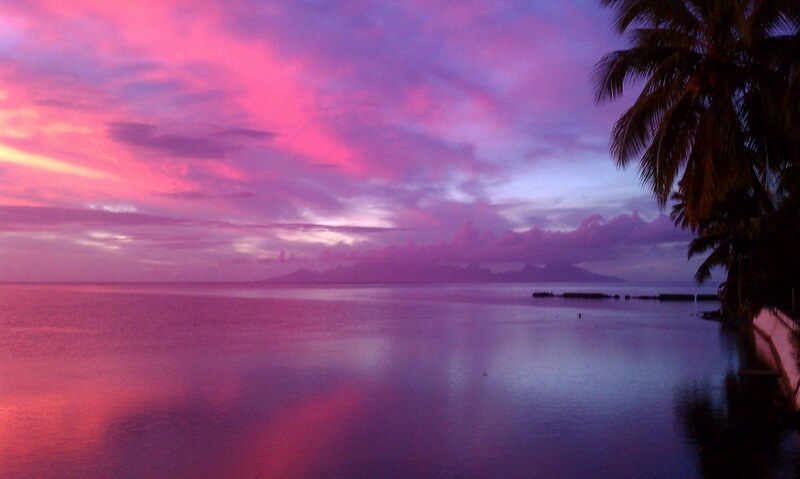 We had some crazy sunsets while staying at our friends' house on Tahiti. Every night after running errands or exploring all day we would get together for a nice meal on their deck and watch the sun go down. If you listen during the second half of this short video below you can hear the live drumming that was going on at the dance school across the street. This is so gorgeous! All those colors and the drums playing in the background ... perfect!